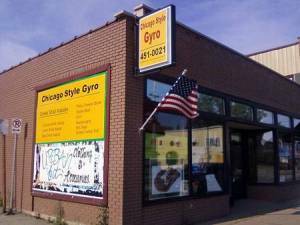 Chicago Style Gyros has excellent Mediterranean cuisine at very affordable prices. Conveniently located on Leonard Street Northwest. Choose from a wide variety of euros including lamb and beef, chicken and Italian beef. Chicago style euros also serves an excellent Philly Cheese-steak and has awesome Turkey Subs. Choose from a wide range of toppings. Shish kebabs Greek salads and other Mediterranean menu items are available as well.